Philippe Pinel wrote in his 1801 A treatise on Insanity on the horrible treatment of the mentally ill in asylums “The blood of maniacs is sometimes so lavishly spilled, and with so little discernment, as to render it doubtful whether the patient or his physician has the best claim to the appellation of madman.” Pinel was a champion of the humane psychological approach. Arguing that the mentally ill should be viewed as suffering from a disease and should not be punished, tired of seeing the ill treated as demonic possession or sinful. Such thoughts were revolutionary at a time when patients were beaten, starved, bled, and chained. 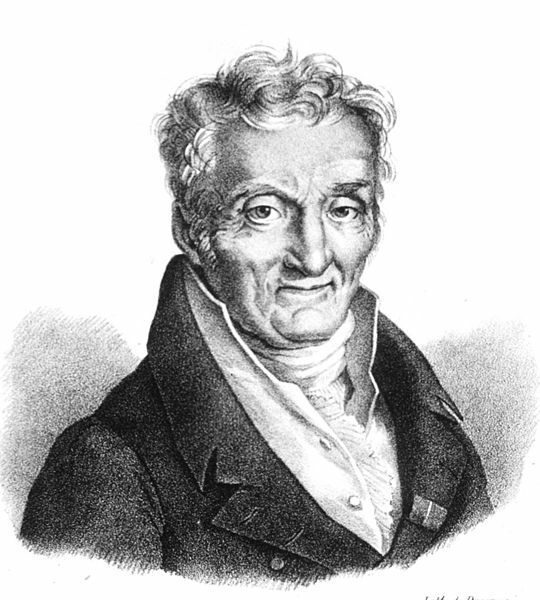 When Pinel became the superintendent of the Bicetre Hospita, in 1793, he removed the chains of several inmates, watched and saw increased improvement. Learning from Jean-Baptiste Pussin, a hospital superintendent, Philippe forbid harsh punishments and increased the standards of food in the hospital. He also started occupational therapy, and careful maintaining of patient case histories. Hiring only personnel he thought of as kind and intelligent, deaths decreased dramatically and the number of released inmates increased. Phillipe went on to become the director of the largest asylum in Europe and became known as one of the founders of psychiatry. 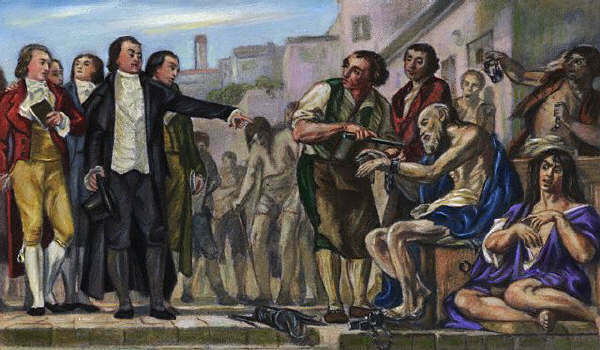 Art known as Unchaining the Lunatics, depicting Pinel and Jean-Baptiste ordering the mentally ill unchained.